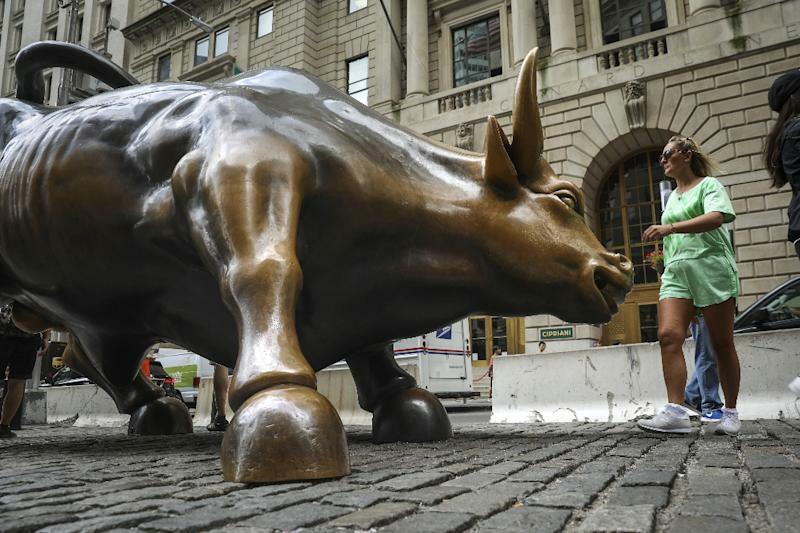 New York (AFP) - Wall Street graduated to the longest-ever "bull market" Wednesday, a run that began amid extraordinary crisis-era monetary policy and which experts think could persist at least a while longer. US President Donald Trump cheered the news after the S&P 500 closed for the 3,453rd straight time without a drop of 20 percent over the more than nine-year stretch. "Longest bull run in the history of the stock market. congratulations America!" Trump said on Twitter shortly after the closing bell. The marathon run comes amid signs the US economy has accelerated this year after a long period of slow but steady growth. Experts say trade wars and higher interest rates are among potential threats to the persistence of the bull run. Market watchers liken the landmark to other stock market records, such as when the Dow hit 25,000 points for the first time. 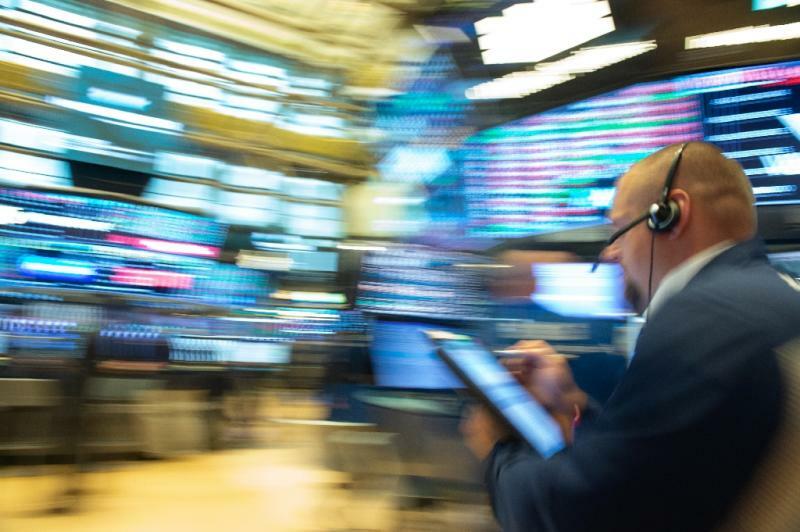 Investing in stocks remains concentrated among the wealthiest, with many Americans still hesitant to buy stocks following the 2008 financial crisis. While financial experts are well aware of the durability of the current stock market cycle, the record is "news more to Main Street than to Wall Street," according to Art Hogan, chief market strategist at B. Riley FBR. The S&P 500 finished the day down less than 0.1 percent at 2,861.82. When stocks fall at least 20 percent below their previous record, they enter a "bear market." Although "bulls" and "bears" are very much in the psyche of Wall Street, there is no official authority on these designations and some experts quibble over the dates. The current bull market began amid the emergency steps taken by the Federal Reserve, which set ultra-low interest rates and sought to spur investment further with billions of dollars in bond purchases in a program known as "quantitative easing." The Fed began winding down these policies in 2014 and has lifted interest rates seven times since December 2015. Stocks got another shot of support in late 2017 when Trump and congressional Republicans succeeded in pushing through an overhaul that cut the tax rate on corporate profits from 35 percent to 21 percent. Key US economic indicators have been solid or better, with unemployment hitting an 18-year low of 3.8 percent in May before rising slightly and some economists now see US as trending towards around three percent rather than two percent. Despite these positive signs and the market's steady rise since the crisis, data show most of the gains from the bull run have gone to the wealthiest Americans. An August survey by consumer finance company Bankrate found that millennials in particular were leery of the market, with more members of that fast-rising generation preferring cash to stocks as a long-term investment. Seeing minimal risk of a near-term recession, analysts perceive little chance of a bear market for some time. Market watchers point to a variety of potential threats to the bull market, including a global slowdown prompted by the myriad trade conflicts initiated by Trump. Another big worry is that a sudden spike in inflation will prompt the Fed to accelerate its pace of interest rate increases, further boosting the dollar and exacerbating the hit to emerging markets that hold debt denominated in the US currency. These issues have most recently surfaced with Turkey, which suffered a sudden drop in its currency earlier this month following US sanctions. But analysts are also eyeing other emerging economies, including Brazil, Chile and China. Regardless of how the situation plays out for trade and monetary policy, US companies are unlikely to match the earnings this year's growth in 2019 and beyond once the boost from tax cuts subsides. Perhaps the biggest wildcard in the near-term is US politics. Investors have thus far largely shrugged off various controversies involving Trump, including Tuesday's conviction of his former campaign manager and a guilty plea by his former lawyer. But DataTrek Research Co-founder Nicholas Colas said in a note this week that investors might react badly if congressional Democrats dominate the November mid-term elections. "Nature and markets both abhor a vacuum," Colas said. "We could see issues like a Democrat-controlled House or disruptive DC headlines take their place in investors' minds. And capital allocation decisions."